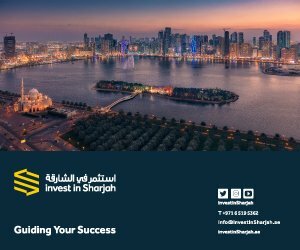 Sharjah FDI Office (Invest in Sharjah) has presented the exceptional investment advantages and business opportunities offered by the business-friendly emirate to a number of high-profile investors and decision-makers from India and around the world participating in Vibrant Gujarat Global Summit 2019, running from January 17-22 in the state capital, Gandhinagar. Invest in Sharjah participated at one of India’s most important business forums, as part of the UAE pavilion, under the presence of H.E. Dr. Thani Ahmed Al Zeyoudi, UAE Minister of Climate Change and Environment and H.E. 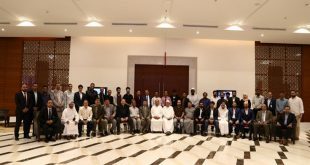 Dr. Ahmed Al Banna, UAE Ambassador in India, and a number of senior officials who explored Sharjah’s key investment opportunities for the new year, and its developing strategy for FDI growth. 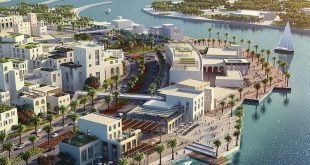 The emirate’s FDI Office has furthered its international strategy to bring foreign investors closer to fast-growing foreign direct investment landscape in Sharjah and the UAE, which has been diversifying rapidly in the past few year to record sizeable growth in non-oil sectors. The UAE and India are the most important trading partners in the non-oil trade sector. The event linked representatives from Invest in Sharjah with the best economic experts from across the world to explore how future partnerships can be established to promote the agenda of inclusive and sustainable development whilst meeting some of the current global challenges. During the UAE Country Seminar, which took place as part of the summit’s main event, Mohamed Juma Al Musharrkh, CEO of Sharjah FDI Office (Invest in Sharjah), presented an overview of Sharjah’s leading FDI sectors, particularly, Tourism & Leisure, Light Manufacturing, Education, Transport & Logistics, Healthcare, Environment, and spoke about the development projects currently being implemented in the emirate. 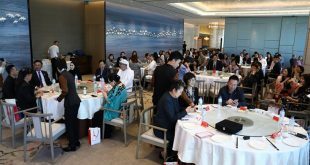 The CEO of Sharjah FDI Office underscored that Sharjah’s attractive and robust business environment has already attracted 24,000 Indian companies in a variety of sectors, who have set up operations in both the emirate’s free zones and on the mainland. He emphasised the emirate’s strategic location, and sophisticated infrastructures for air and seaports and stature as some of the key drivers of Indian FDI in the Gulf region, which is valued at USD 137 million. 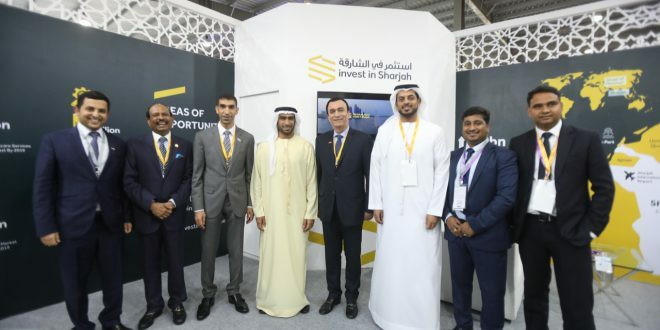 This was Invest in Sharjah’s first participation at an important international event in 2019, and will be followed by a series of visits to many countries worldwide. These visits aim to boost the vibrant presence of Sharjah in line with its objectives and communicate the positive FDI environment in the emirate through strengthening partnerships with international companies and investors. Sharjah FDI Office has participated in several networking events that aim to boost India-UAE economic relations. These include the UAE-India Partnership Summit 2016, Vibrant Gujarat Global Summit 2017 and UAE-India Economic Forum 2018, which was organised during Invest in Sharjah participation in the UAE-India Partnership Summit 2018 in Dubai.